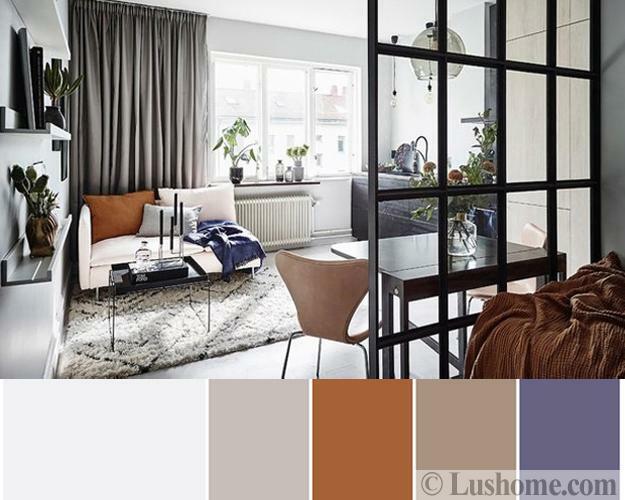 Modern room colors change interior design dramatically and can give a fresh lift to any dated living space. 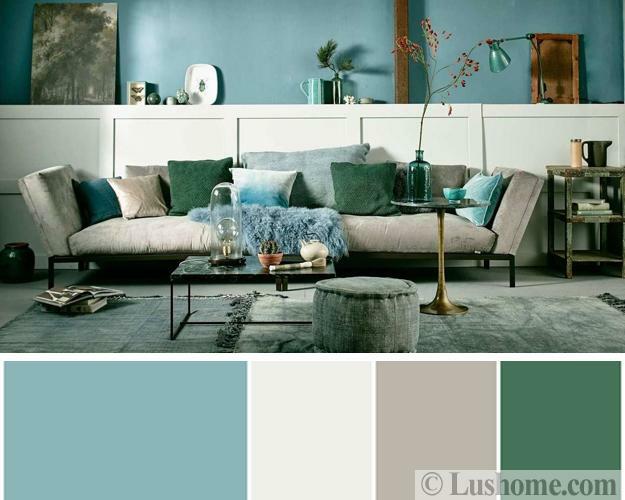 Modern hues are powerful decorating tools which transform old, lacking interest rooms into stylish and beautiful interiors. 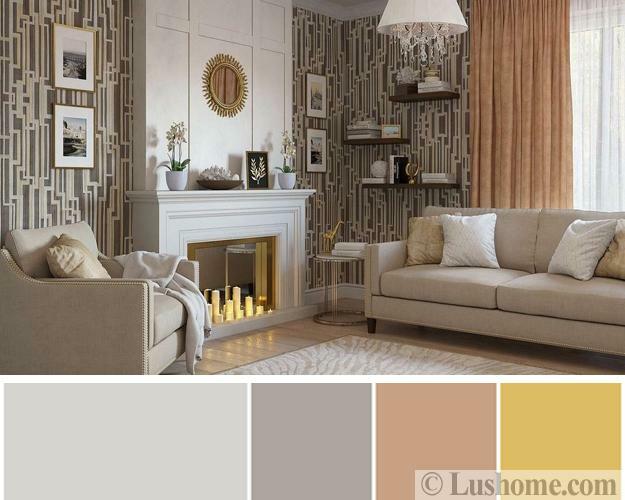 Here is the Lushome collection of fresh color schemes, perfect for modern living room designs. The 60-30-10 and 60-30-5-5 rules apply correspondingly to walls, large living room furniture, and vibrant accents. 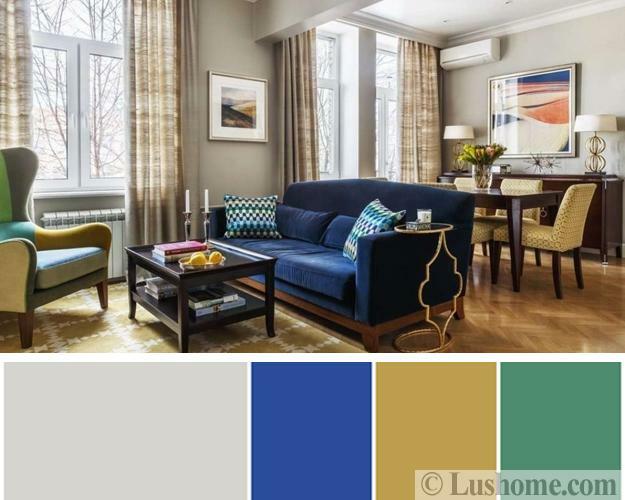 Use these interior decorating color schemes for refreshing your rooms and adding stylish hues to your living room. Modern interior design and the latest trends in room colors are about making the living spaces feel cozy and comfortable. 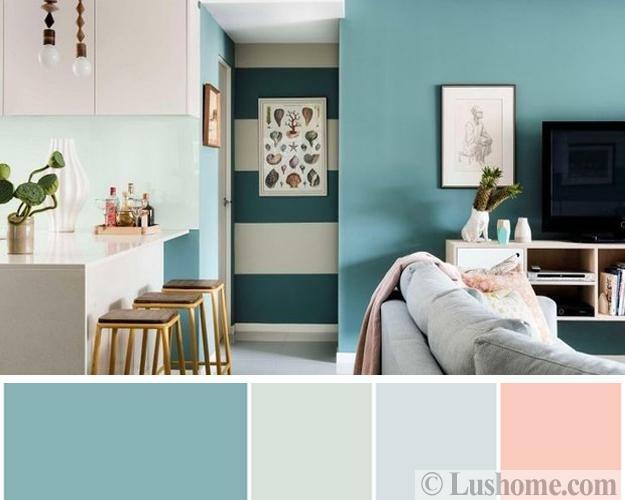 Check out the ideas for modern living room designs, find your favorite color combinations, steal the look or use these color schemes as your inspirations. 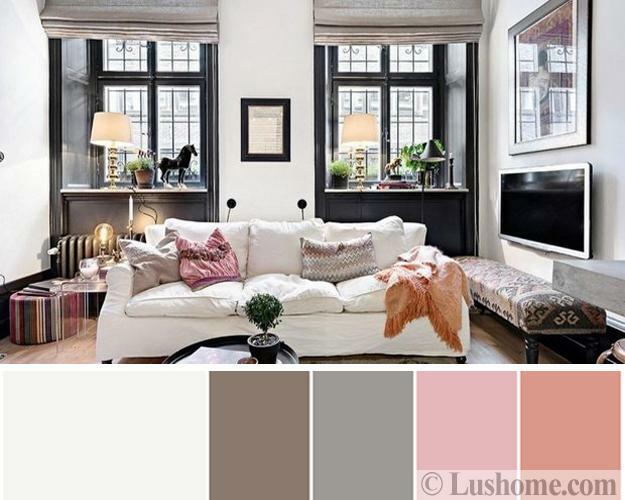 Changing the way your living room looks and feels gives you energy and inspire more transformations of all your home interiors while bringing modern hues that reflect the latest trends in decorating. 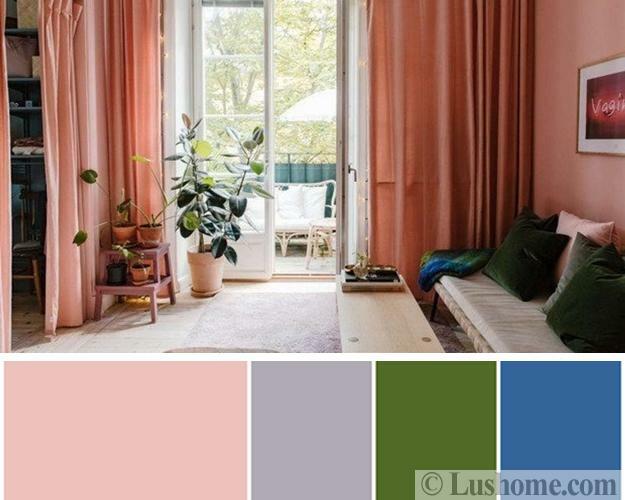 Pink and ruby-pink color shades are warm and beautiful. Rich green colors reminding lush vegetation are excellent choices for living room furniture and decor accessories. Houseplants are cheap decorations that bring pleasant green colors into living rooms, and green wall paint colors are trendy now as well as green textiles. 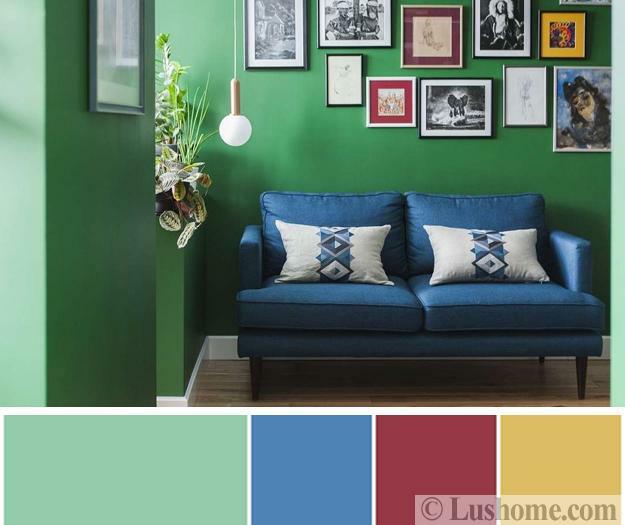 Rich green or sage green hues are perfect for refreshing your living room. Mustard yellow, golden color shades, medium to dark yellow colors are stylish hues for living room designs. 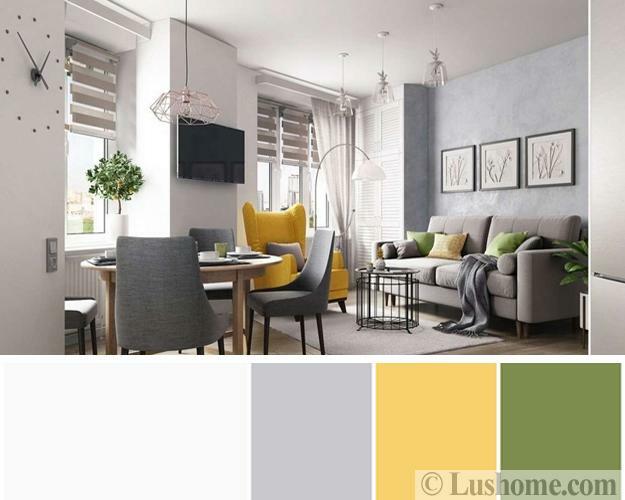 Gray color tones, orange or brown color shades work well with yellows creating warm and bright color scheme for modern living rooms. Yellow color shades are perfect for accentuating home interiors. A chair, a lamp or a blanket can add an energetic, optimistic vibe to modern living rooms and beautifully enhance neutral color schemes. 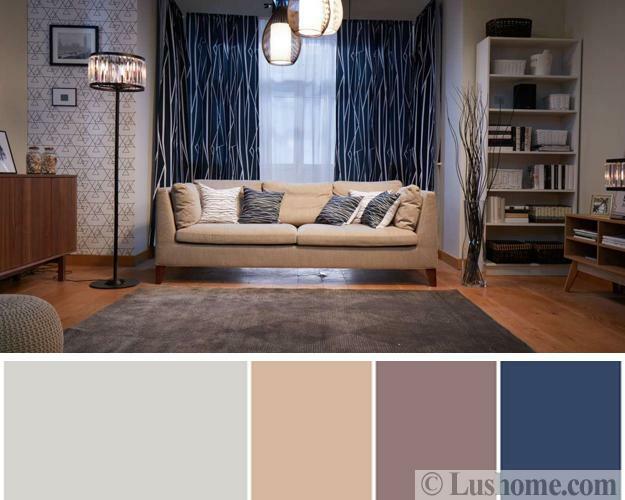 Light and deep purple colors are another trends in decorating living rooms. A floor rug, a table lamp, decorative pillows or wall art in purple colors give a modern touch to any living room design. 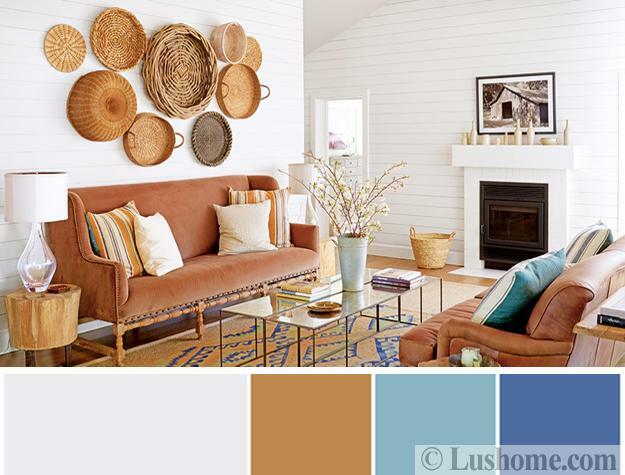 Orange color shades are fantastic hues for modern living rooms. 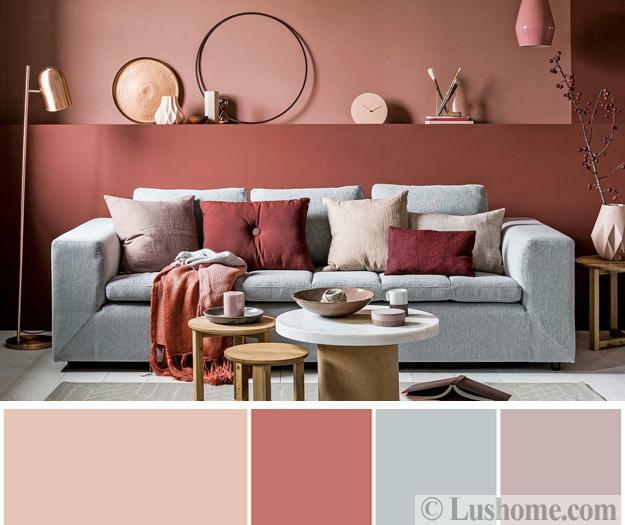 Terra-cotta and chocolate brown mix well with many cool tones and soften all neutral color schemes while bringing comfort and coziness into modern living rooms. Gray color tones, beige, grayish pastels of blue or green colors offer stylish color design ideas for modern living rooms. 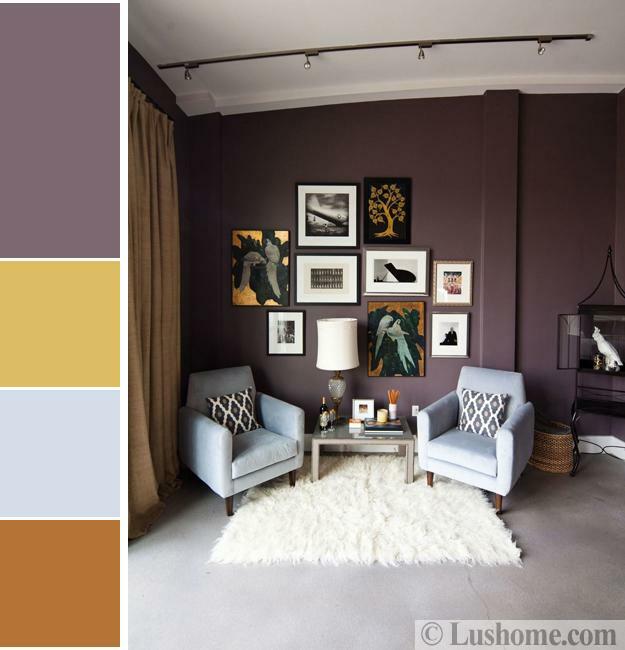 Gray color schemes include vibrant hues. Gray color tones look elegant and bold with colorful accents. 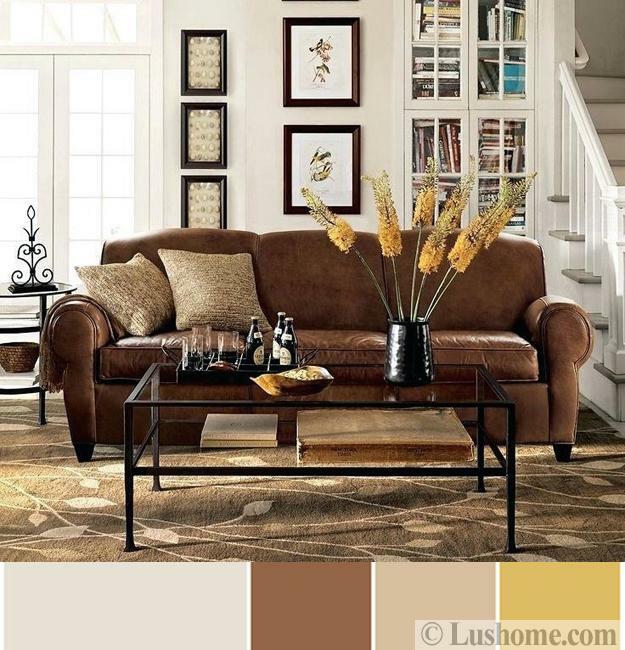 Beige, peach, caramel, light or dark brown colors are fabulous choices for infusing warmth into living room designs. These versatile and universally appealing hues create harmonious room color schemes with cool gray tones, black or white decorating ideas.